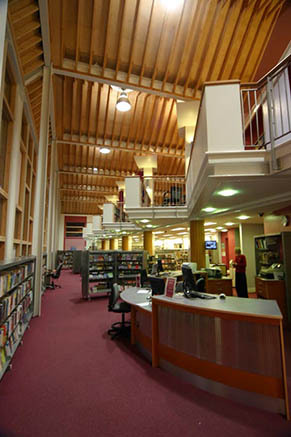 The new Lewes Public Library and adjoining civic space opened in August 2005. 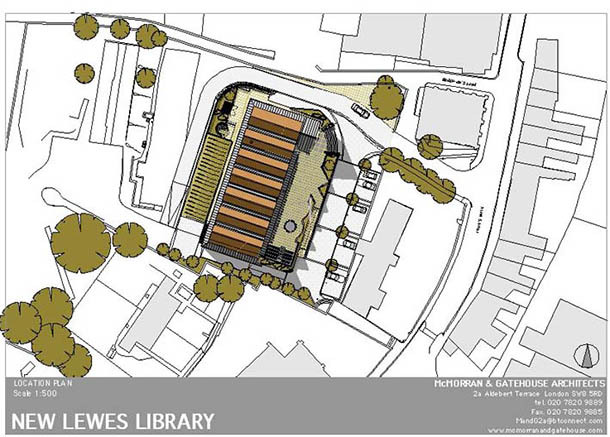 Located within the highly sensitive historic town centre of Lewes, the open plan building houses a ground floor lending library with areas for children and tenagers, and a mezzanine floor with music, reference and Sussex collections. 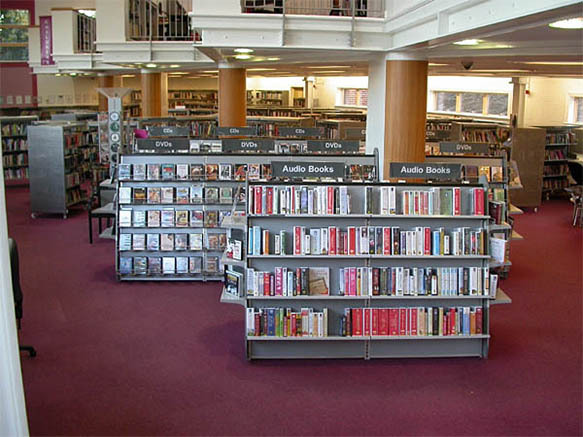 The local community was closely involved in the project raising over £70,000 through an Appeal Fund which purchased a host of extras ranging from sofas to microfilm. 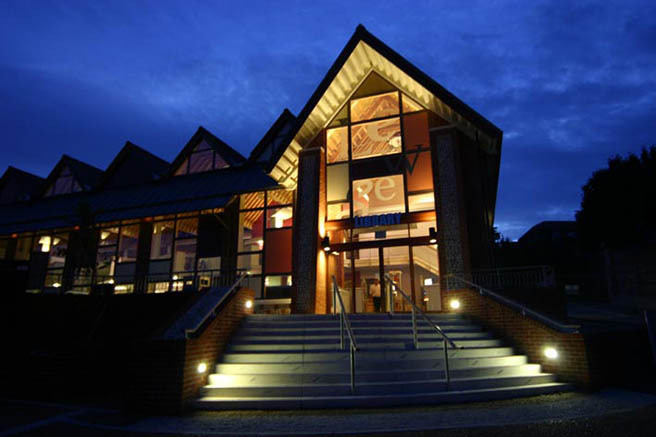 The building is situated in the former gardens to Lewes House, and is cut into a sloping site, a short distance from the High Street.In front is a new piazza with a small stage area for hosting public events, contributing to the cultural life of the town. 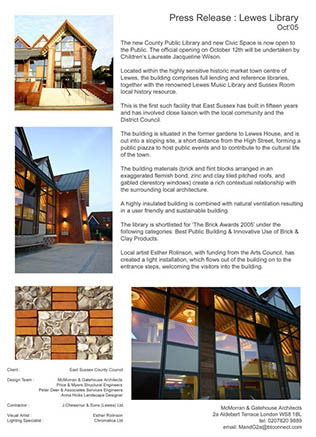 The building materials brick, flint blocks, zinc and clay tiled pitched roofs with gabled clerestory windows create a rich contextual relationship with the surrounding local architecture. 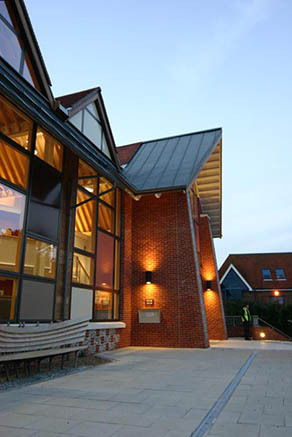 A highly insulated building is combined with natural ventilation resulting in a user friendly and sustainable building. An art installation called Align comprising a mass of dynamic linear marks similar to glassy sheets of water traversing a weir, directs visitors to the front entrance. 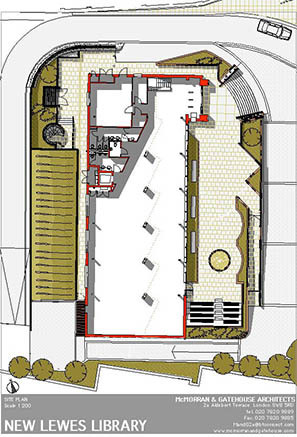 Tne work was undertake by local artist Esther Rollinson with funding from the Arts Council.